Discount Magic - The Original Tarbell Lessons In Magic Book. Magic Makers is grateful to bring you these original lessons just as they appeared in the 1920's with very few modifications. 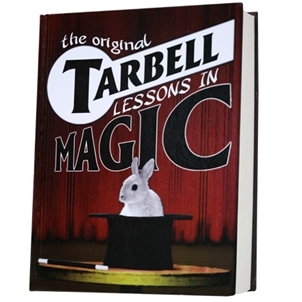 The Original Tarbell Lessons In Magic Book Nearly 100 Years Ago Harlan Tarbell began his journey into magic. The Tarbell System became a gold standard for lessons in magic.